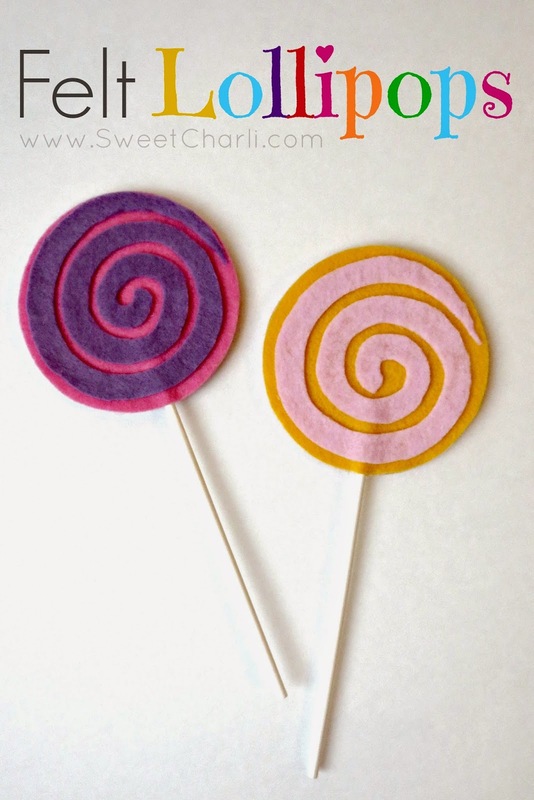 DIY Felt Lollipops – for kids! Hey everyone! I hope you are enjoying the first part of Spring! 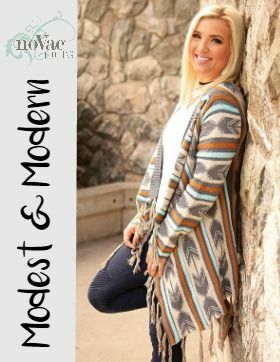 I have a happy project for you all to make today that requires no sewing! At our house we have a variety of felt food for my girls’ kitchen: cupcakes, sugar cookies, chocolate chip cookies; and as of today – Felt Lollipops! 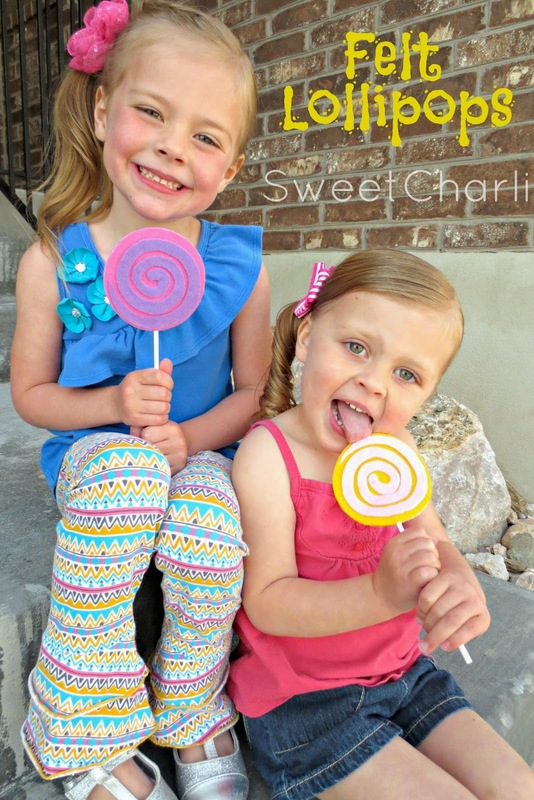 I thought I would add Felt Lollipops to their collection because my daughter, Olivia, is obsessed with suckers and lollipops! She literally asks me if she can have one at least 5 times a day! 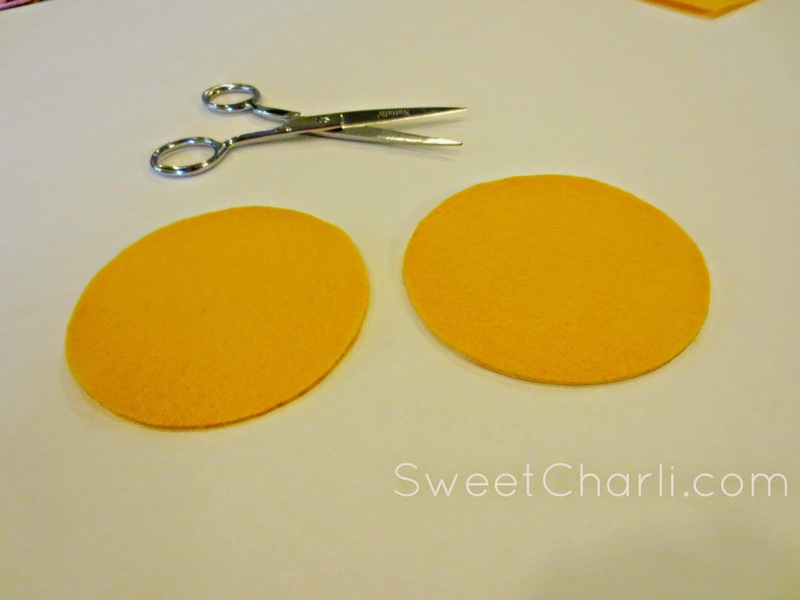 I thought I would start handing her these felt ones instead to save us trips to the dentist! Haha! 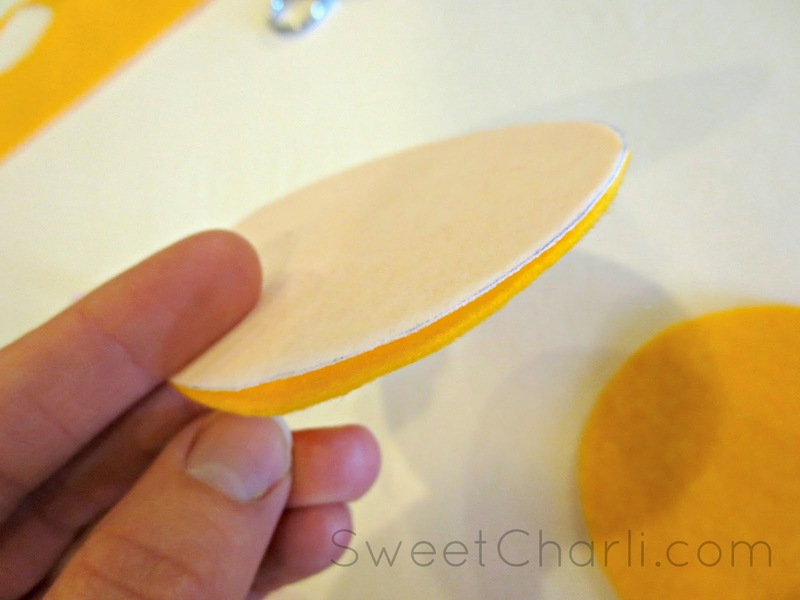 First you will need to trace 2 circles onto your base lollipop color. I traced a drinking glass. You will have two circles. 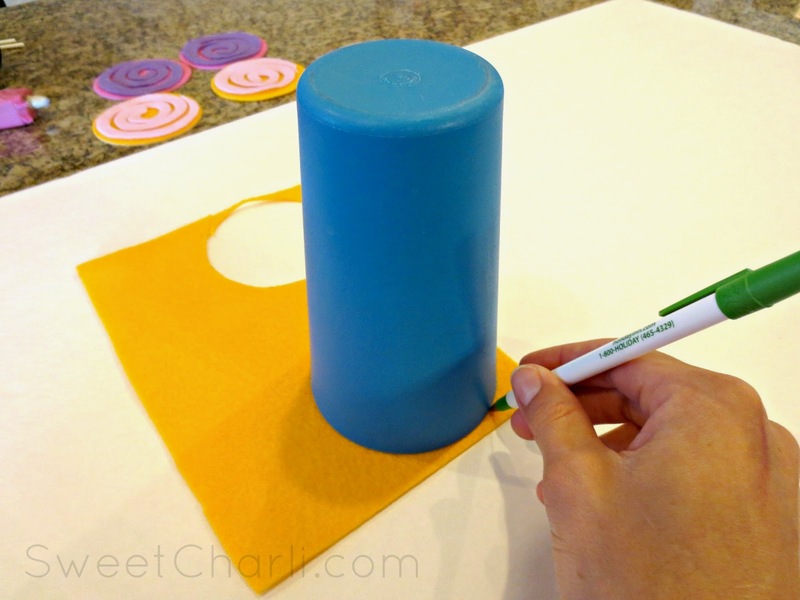 Next, you will want to trace two more circles on the “swirly” color of your lollipop. 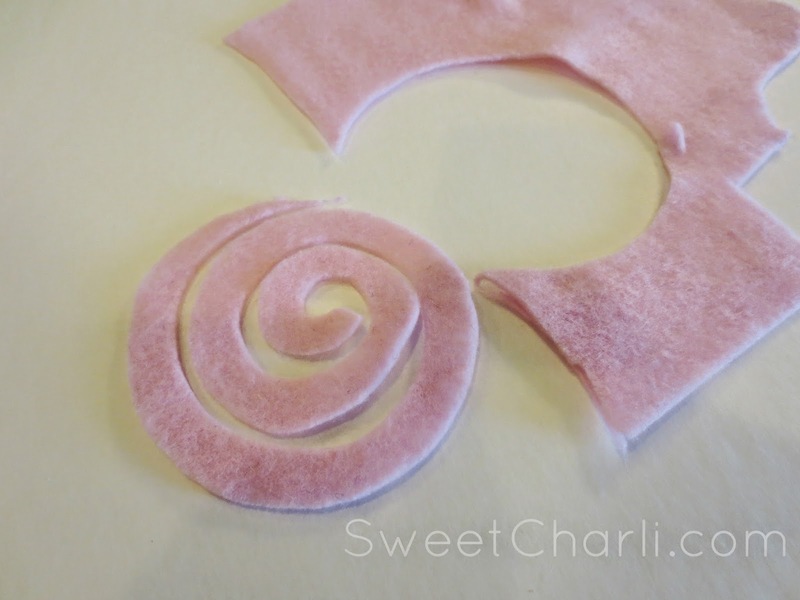 Once you have the circles cut out, start cutting into them and swirl all the way around. After that you will simply hot glue the swirl onto your bases. *note: you will not use the whole swirl. You will cut most of the larger part off into a point. Take your stick and sandwich the end between the two sides and hot glue around the edge of the circle. How cute would it be if the Easter Bunny put these Felt Lollipops in Easter Baskets this year?